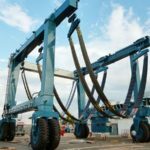 Hoist Travel Lift Crane Manufacturer Provides Best Marine Travel Lift Cheap Travel Lift For Sale Customized Travel Lift! 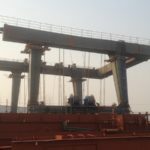 Hoist travel lift crane is kind of transformed gantry crane. 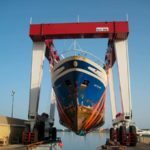 It has large capacity, such as 10 ton travel lift, 25 ton marine travel lift for sale, 50 ton travel lift for sale, 100 ton travel lift, 300 ton marine travel lift, 500 ton mobile boat lift gantry, travel lift 800 ton, 1000 ton marine travel lift. Customers can choose suitable loading tons according to practical needs. 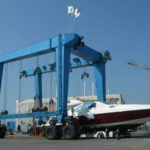 Ellsen Group, a professional marine travel lift manufacturer, provides types of boat hoists for sale, such as wharf travel lift, construction travel lift, travel lift for water sport meetings, factory direct sales marine travel lift, cheap boat hoist, all-wheel steering travel lift, small boat hoist, high lift capacity travel lift. 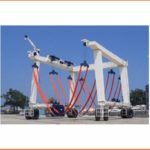 All above travel lift gantry cranes have strict producing standards, steady performance and reasonable price! 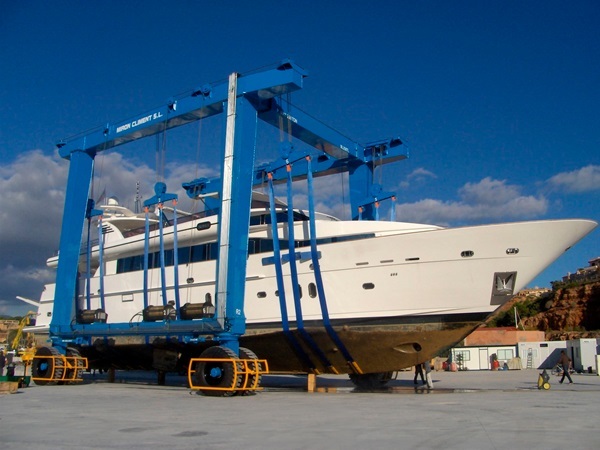 Buy Ellsen marine hoist travel lift for more benefits! 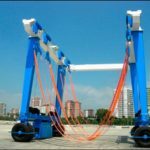 How to ensure safety of hoist travel lift crane? Safety is the most important factor for travel hoist. To ensure the safety, Ellsen travel lifts are equipped with following safety devices. 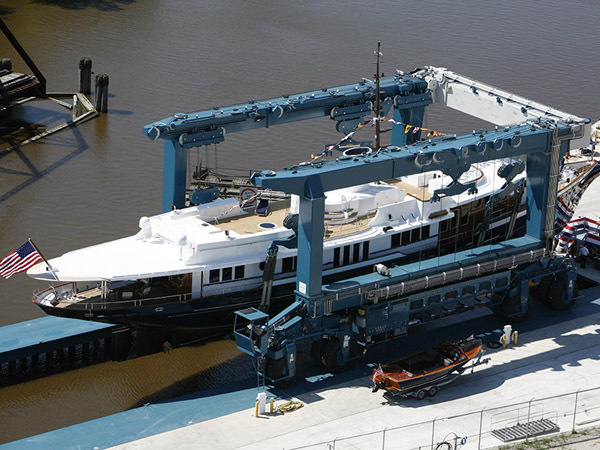 Overload protection can protect boat hoist under overload. 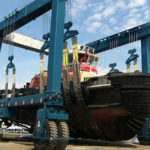 The hoist unit switches off and the lowering motion is possible. Long and cross travel limited take advantages of wireless anti-collision device or preliminary and final limit switches. For three-in-one electric motor of trolley and crane, anti-falling protection device is designed for preventing accidental falling. All movements can be switches off by actuating the emergency-off switch at the control station via a main contact. Top quality long time bearing polyurethane materials buffer is fixed at the end of trolley travelling and crane travelling to prevent over travelling. Audible and visual alarm device is used to inform the person who stays near by the travel lift crane.